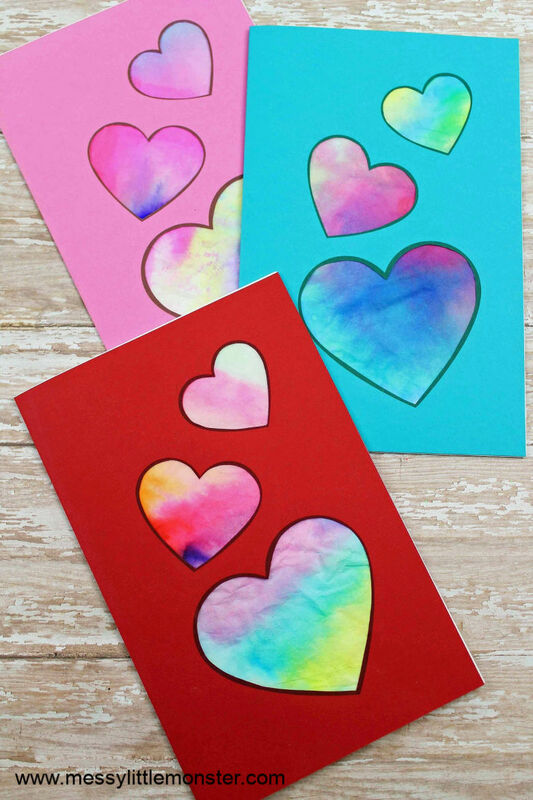 For more heart craft ideas, be sure to check out this fingerprint heart, these tiny heart envelopes, and this marbled heart craft! 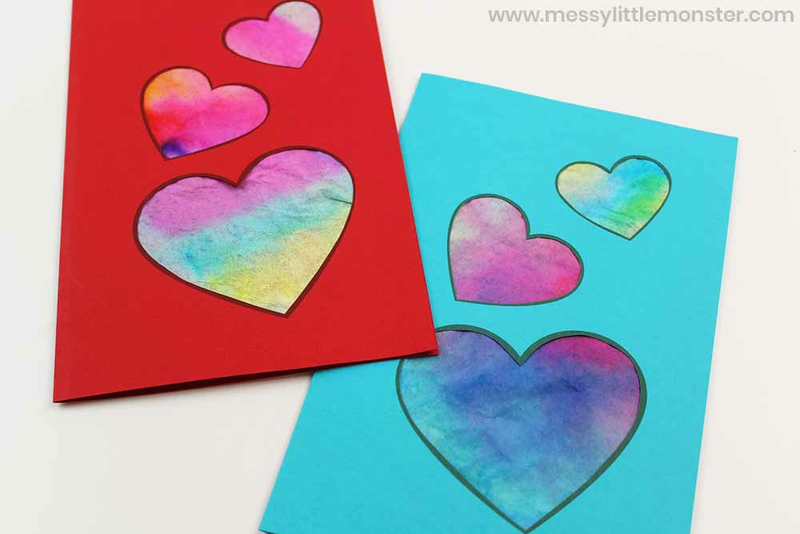 This Valentine heart card makes the perfect last minute valentine craft for preschoolers! The best part is there is no right or wrong way to do it. 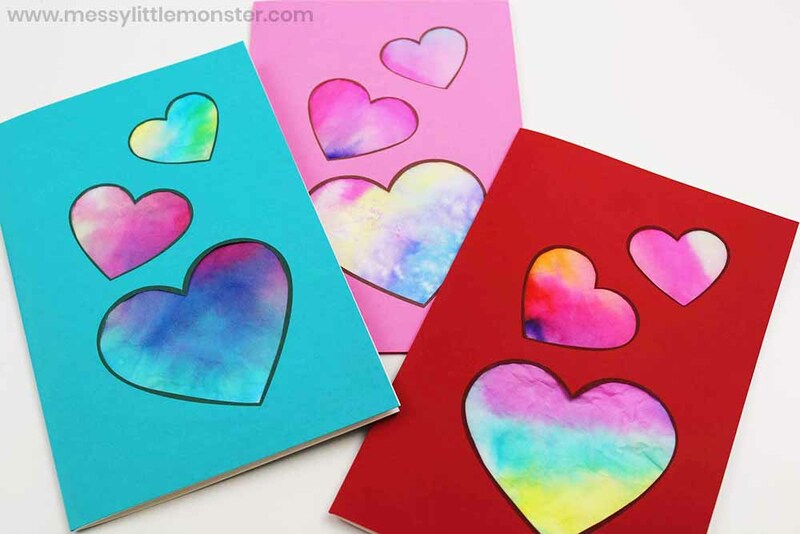 We love process art and the process used to make these Valentine's Day cards is a lot of fun. 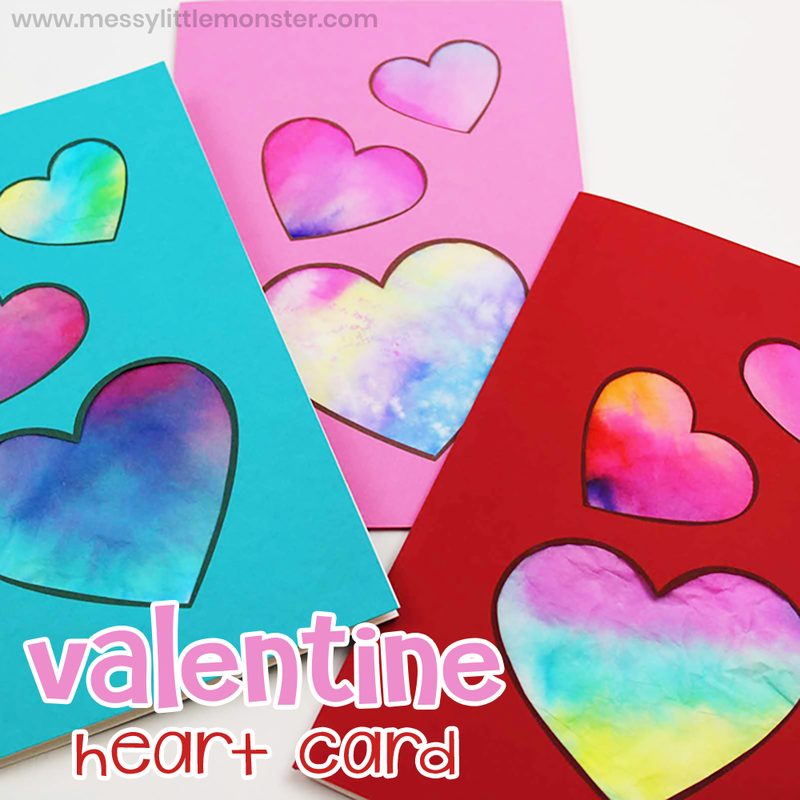 Follow the step by step directions below to make your own Valentine heart card. Before you get started, gather up all your supplies. 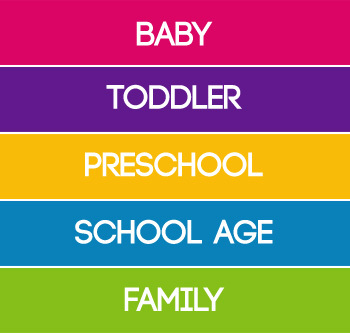 For the felt pens, have your preschooler pick out their favourite colours in order to get them more involved in this heart craft. 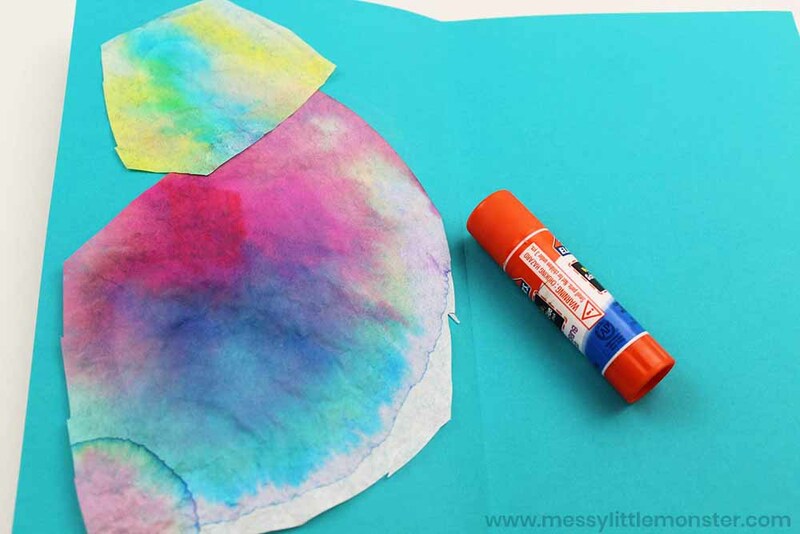 To get started, colour the coffee filter with the felt pens. 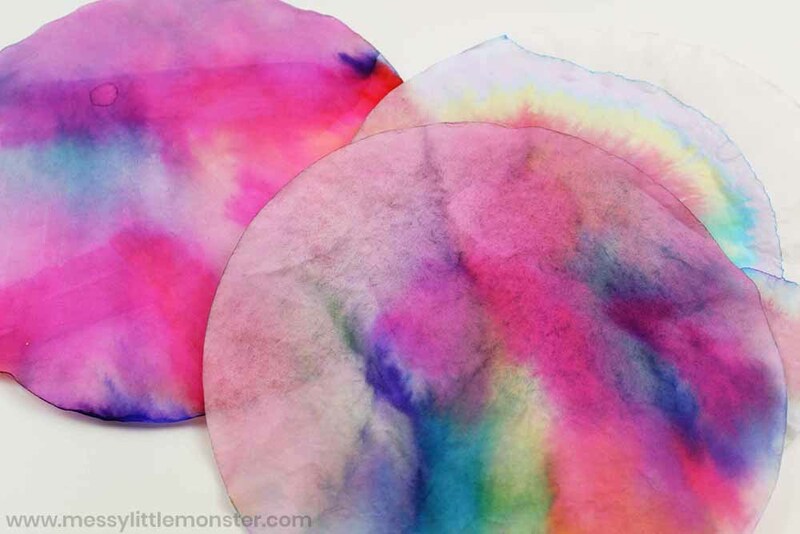 You need to completely fill the coffee filter with colour. 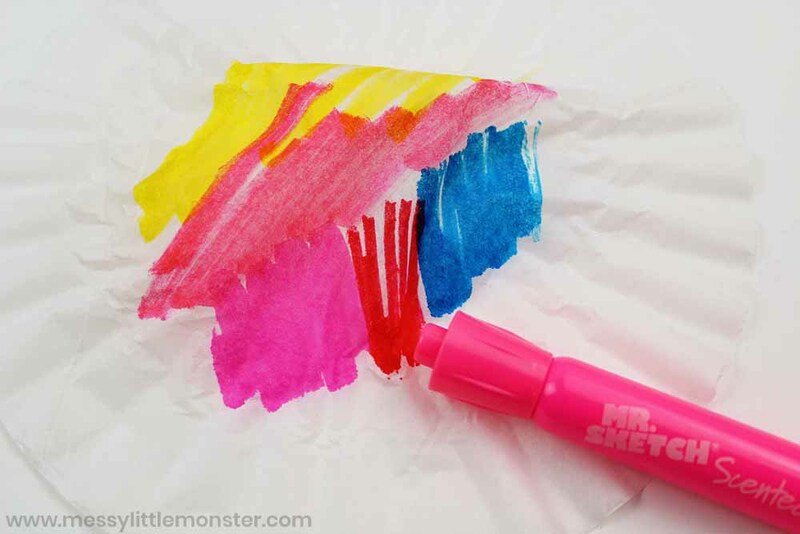 Then for the really fun part, spray the coffee filter with water or add some drops of water using a pipette and watch the colours run and merge together. Leave the coffee filter to dry. 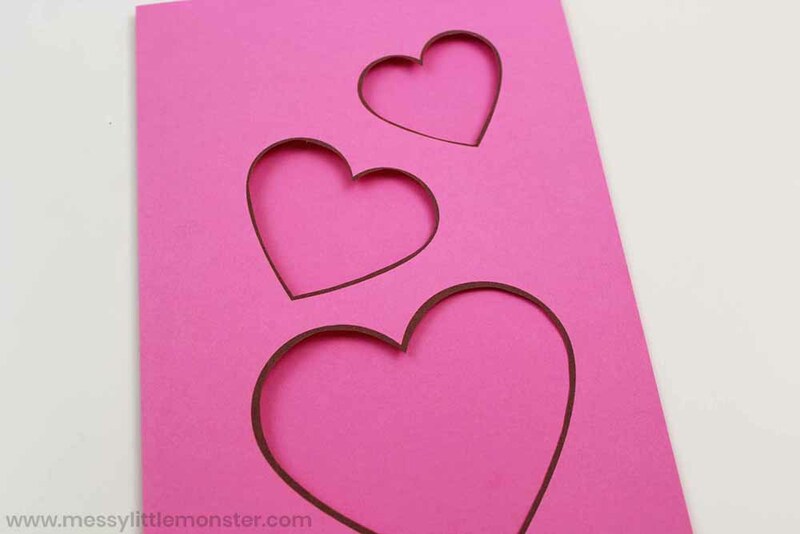 Print out the heart template onto coloured cardstock and cut out the heart shapes, as seen below. Using a craft knife is the easiest way to cut out the hearts, but this would need to be done by an adult. Next, glue the dried coloured coffee filters on the back side of the hearts, as shown below. 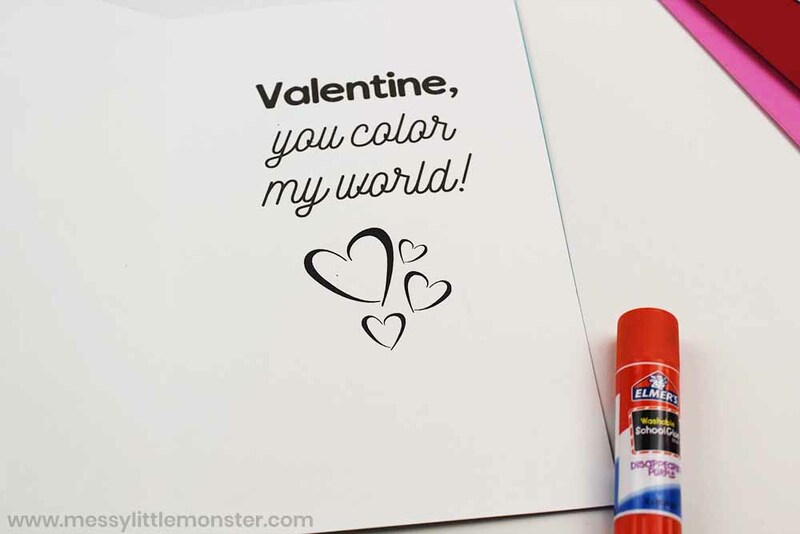 Glue the card insert with the Valentine message on the inside of the card. That's it! Your Valentine heart card is now ready to gift to a loved one. To download this printable heart template and card insert for free add $0 and click on the 'I want this' box below. It may take a moment for the page to load so please be patient. For personal use only. Not for redistribution. All images are copyrighted. Thank you. 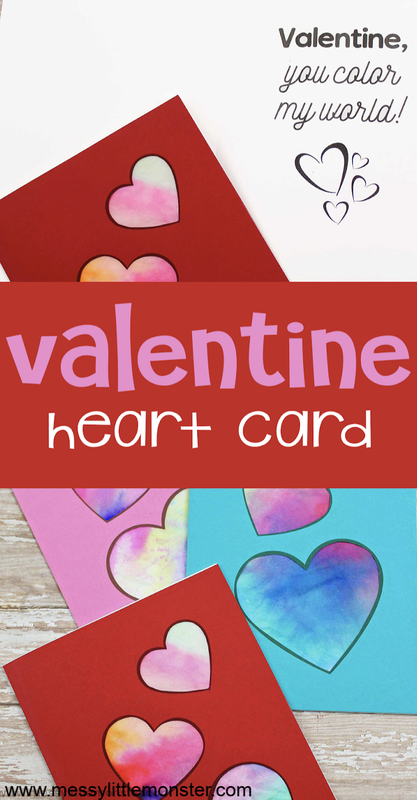 We hope you have lots of fun with your preschooler making this Valentine heart card! 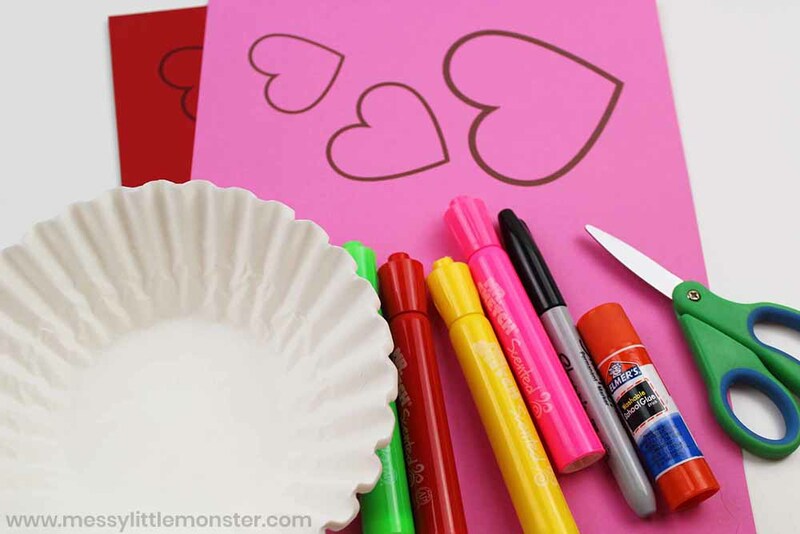 It's such a fun heart craft to make together and the PERFECT last minute Valentine craft to give to loved ones.